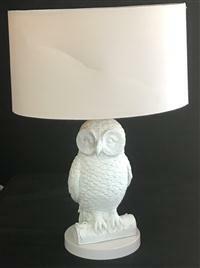 IMPORTANT NOTE: THIS IS AN INTERNET ONLY SALE. 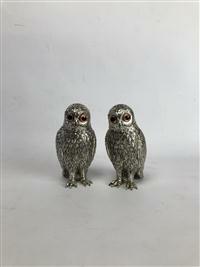 This sale takes place online only. 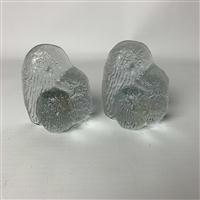 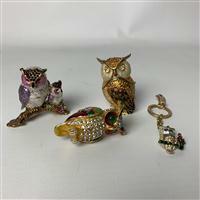 Any bids place via the website are executed immediately against the items reserve or the current highest bid. 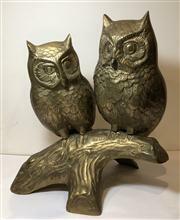 Please note that in the case of competitive bidding occurring within five minutes prior to the close of sale, the closing time is rolled over for a further five minutes. 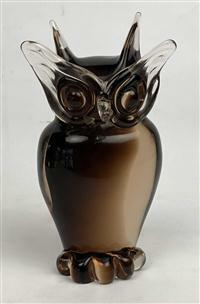 Winning bidders will be notified when the sale closes for bidding online. 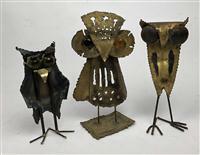 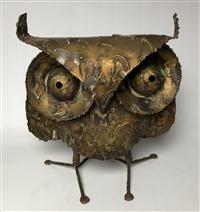 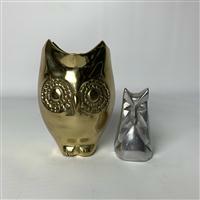 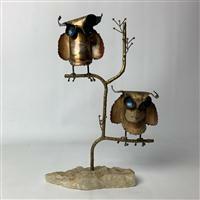 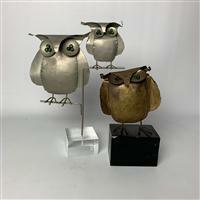 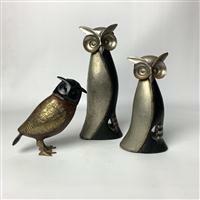 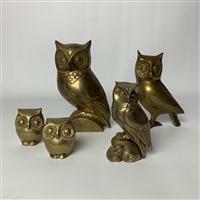 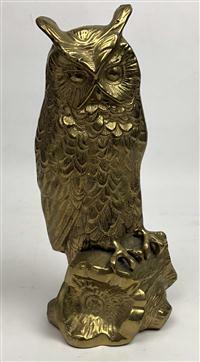 Group of five assorted brass owls, tallest 19cm. 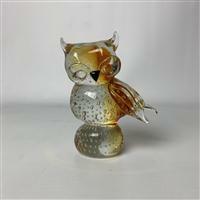 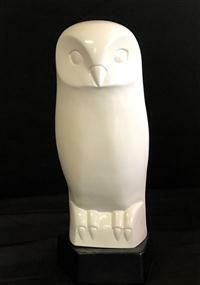 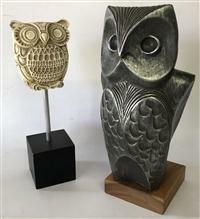 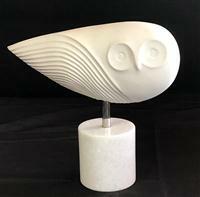 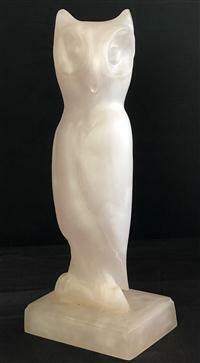 A Svetoslav Djalazov Owl Sculpture for Austin Prod Mid Century 1968. 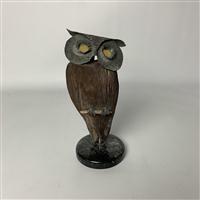 Height 33cm on timber base, together with a white glazed example..
A group of bronze owl items including figurines, bell etc with turquoise finish. 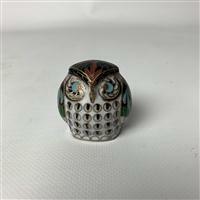 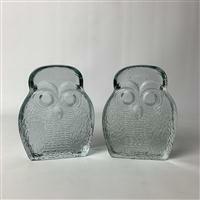 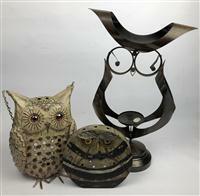 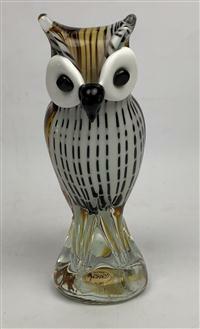 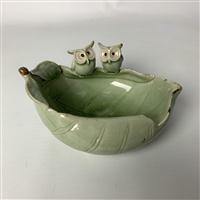 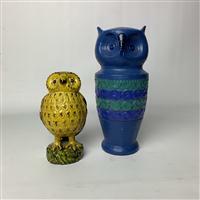 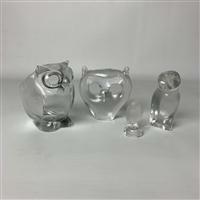 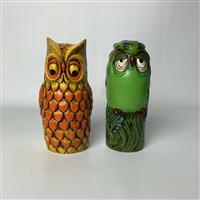 A large group of owl form tablewares including napkin rings and salt and pepper pots. 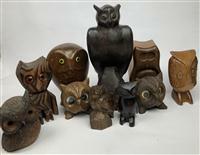 A group of owls of various materials and origins. 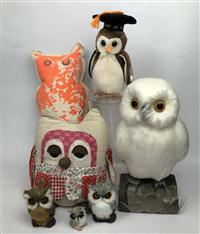 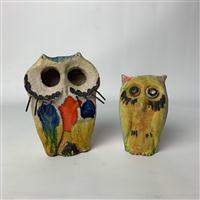 Small group of owl models with feathers, a cushion, a doorstop and a beanie toy..
A group of ceramic owl containers together with a copper art and timber box. 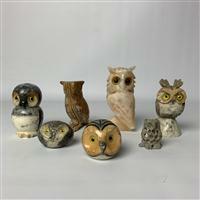 A group of five white pottery owls including "have you met miss jones"
A group of drinking related wares with owl themes including a decanter, glass coasters, mugs and a tumbler and tray. 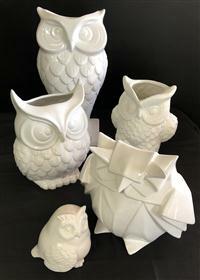 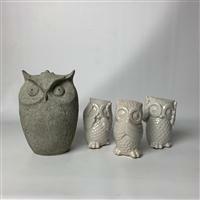 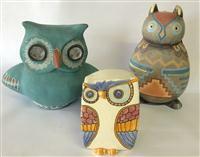 A group of five pottery owls. 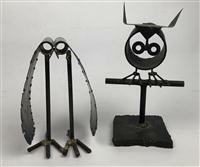 The sale will close at 2pm on Thursday 18th April and invoices will be sent out shortly thereafter. 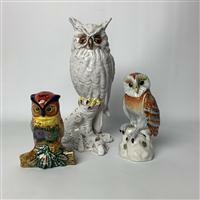 Collections must be made and paid for no later than Tuesday 23rd 4pm.